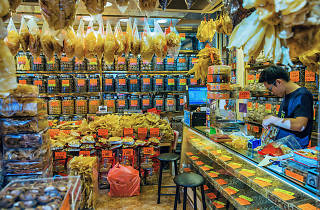 The dried seafood market refers to the clustered stores on a section on Des Voeux Road West. 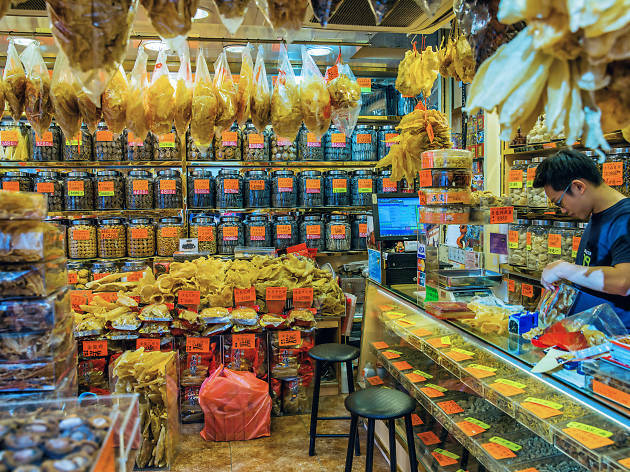 Dried seafood is a popular and common ingredient in Chinese cuisine and you’ll find an overwhelming assortment of dried fish, sea cucumber and abalone at this stretch of the street. On a sunny day, the street is lined with bamboo baskets of dried seafood and other exotic fares to dry out, giving off its unique pungent aroma. Pop along to the market and try making dishes like a real local.